Cords? Wires? A Sony Jedi craves not these things! 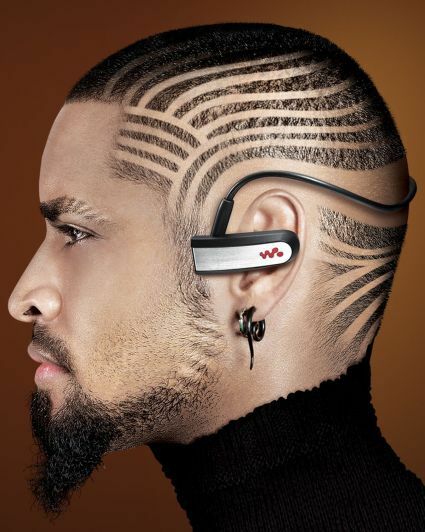 Or so it seems, since the company has come out with an all-in-one MP3 player that wraps around your head – a bit like those fancy Motorola Bluetooth headsets that were all the rage a while back. 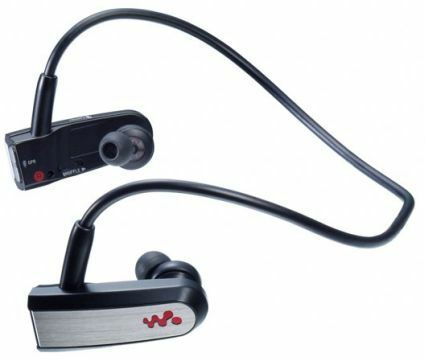 The new Sony NWZ-W202 Walkman MP3 player is targeted at joggers and others for whom “being active” is more than just a green dot on their GTalk. The player offers 2GB of built-in flash memory to store your songs, which is roughly 500 tracks recorded at a bit rate of 128kbps. The 13.5mm EX series headphones, of course, are part of the device itself, and a few reviews peg them as having great bass output for their size. Still, the inability to change the headphones might be a dealbreaker for some audiophiles. The headphones also have a jog dial with playback buttons, the volume control options and a shuffle switch. Naturally, this gizmo doesn’t have an LED screen, so the default mode of listening is through Shuffle. However, the ‘Zappin’ feature allows you to use the jog dial to listen to a few seconds of each song. It sounds cool, but in practicality, it might be a bit tiresome. A full charge of the NWZ-202 – carried out via USB – will allow about 12 hours of continuous music playback. There’s also a three-minute quick-charge function that will give you 90 minutes of playback. Nice! Available in black, white, pink, violet and lime, is a price tag of Rs 4,990 enticing enough to discard the cords? I didn\'t get you point. Please tell me briefly. experience with wireless headsets ??? how to install wireless Mouse with Computer? How to connect wireless mouse with my desktop ?